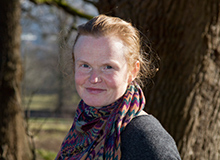 Claire joined the team at Treework Environmental Practice as a Principal Arboricultural Consultant. She has 9 years’ experience in arboriculture that spans surveying, consultancy, contract management and project management both in the commercial and public sectors. Claire has considerable experience in dealing with trees in planning and development, and brings in depth knowledge of the planning system and of technical solutions to building near trees to her consultancy role. Through her management tenure in a large urban local authority, Claire is also well-versed in managing large-scale tree inventories, running survey teams and developing detailed plans and policy for tree populations. Claire has an honours degree in Arboriculture, is a LANTRA qualified Professional Tree Inspector and is licensed to carry out Quantified Tree Risk Assessments. She is a Professional Member of the Arboricultural Association. Amongst many other projects, Claire is currently managing a large tree population for a London housing association.